Quick growing tasty and healthy. 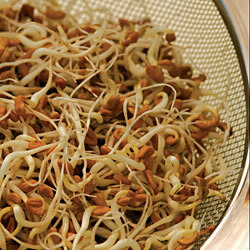 It is easy to grow your own sprouted seeds to use in a range of tasty dishes. Fenugreek has a slight curry flavour which enhances salads and is useful as a garnish.